The new Circular Economy Package of waste and recycling laws, which replaces a bill axed under the European Commission’s drive to cut red tape, is less ambitious than its predecessor and is a missed opportunity to create much-needed jobs, write Jean Lambert and Davor Skrlec. Jean Lambert and Davor Skrlec are both European Green MEPs. 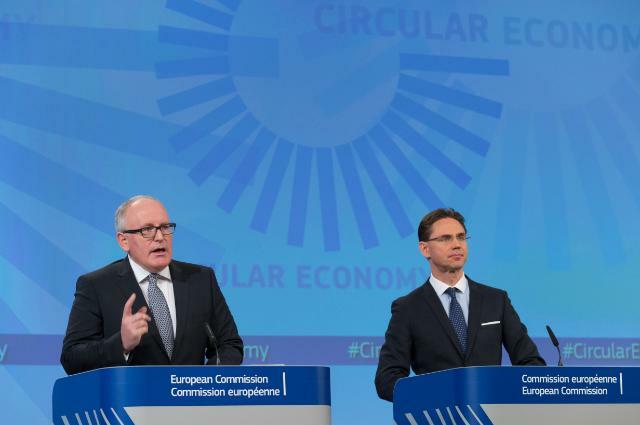 The new Circular Economy Package is a step back for Europe. In a European Union with levels of unemployment at around 11%, youth unemployment at over 20% and with 24% of the population either at risk of poverty or social exclusion, the current package is not only less ambitious but a missed opportunity. If the Commission is truly committed to its top priority of jobs and growth, why has the employment part of the package been sidelined? Recent calculations estimate that the circular economy will create three million jobs in the EU, half a million of these new. However, lowering the ambition, especially the targets, means fewer jobs in the EU. A strict comparison of the 2014 and the 2015 packages shows 110,000 fewer jobs and countries such as Germany spending about €740 million more in unemployment benefits each year by 2030. According to research, employment in the circular economy brings long-term jobs across a country, and not only in urban areas. Some estimates state that an ambitious Circular Economy Package could save at least €3 billion in unemployment costs. It is clear, unless the circular economy is an inclusive democratic change that has societal benefits at its core, we will end up in a new paradigm that promotes business as usual: benefits for the few only. To be serious about the circular economy we need to manage the transition for workers. Despite the job creating potential, the package ignores the need to integrate labour requirements into a circular economy by respecting collective agreements, social security and tax contributions and developing the requisite skill set for the transition to a low-resource Europe. Social enterprises have a significant role to play. Thousands of social enterprises across the EU have been active in the sector for many years, providing training opportunities and jobs for disadvantaged workers and giving them a fresh start on the labour market. However, the package fails to safeguard and develop the role of social enterprises through the use of social clauses in tendering procedures and also fails to guarantee their access to waste for reuse and repair. Ironically, the Commission’s own impact assessment highlights that the job creation potential of the sector goes beyond high recycling targets since at least 30 million jobs in the EU depend on access to raw materials. Ignoring the introduction of separate targets for job-intensive sectors such as reuse and repair will result in additional materials not being captured for further use in the economy. The Commission is therefore in no position to justify its statements that the new package is more ambitious when jobs, the main priority of the Juncker’s Commission, are not part of the objectives of the review. The challenge is now with the European Parliament to increase the overall ambition of the Circular Economy Package, to meet the needs of the 21st century.